Summers in Central Texas are H-O-T! But even with the temperature hovering around 100 degrees, this outdoor August wedding was still as cool as can be. Although Katie + Jeremy are from the Dallas area, their wedding day was about as “Austin” as it gets! 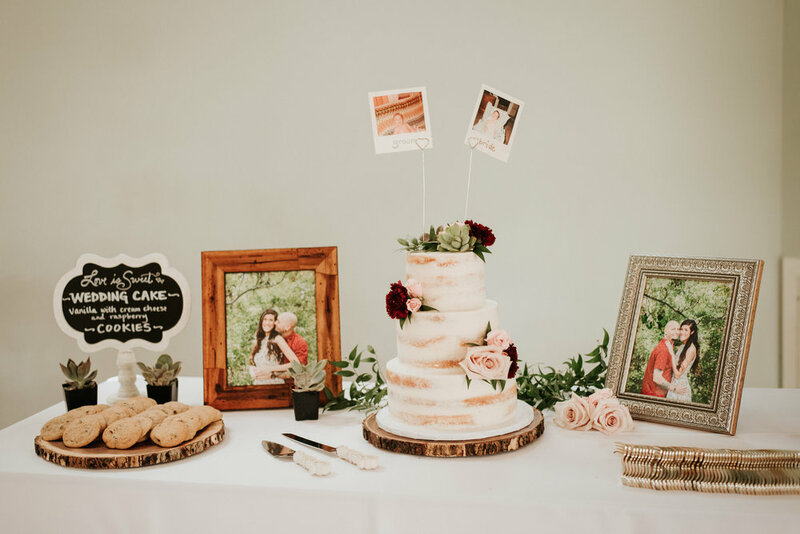 From the cutest little succulents as part of the table decor (handpicked by yours truly from East Austin Succulents), to food truck catering by Torchy’s Tacos, to tying the knot under the most picturesque oak tree at The Sanctuary Event Space, this couple’s big day was whimsically elegant. 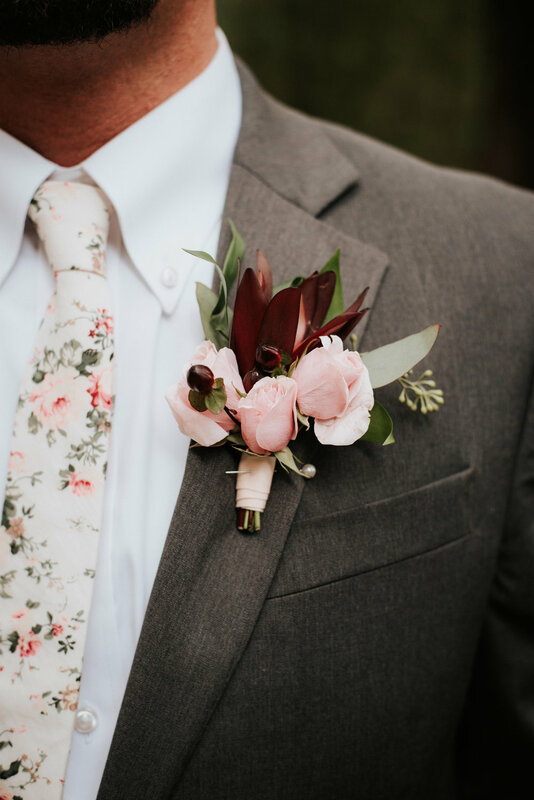 The color palette was perfect for a late summer celebration and featured burgundy, blush and lots of wild greenery. Magnolia leaves, Italian Ruscus, Seeded Eucalyptus, Hanging Amaranthus and plenty of burgundy and blush blooms framed the ceremony arbor. Quicksand roses, Peach Stock, Black Magic roses and Blackberry Scabiosa filled the reception table centerpiece arrangements. Katie + Jeremy also requested a Jade Bonsai Tree to use as their “Unity Tree” in lieu of the more commonly used “unity candle.” I loved this unique idea and was excited to incorporate this “miniature” tree into their wedding day. The bride is of Asian heritage and in Asian culture, the Jade plant is said to symbolize luck and wealth. Congratulations to the newlyweds!